Tired of your old loveseat pattern and know how to sew? Then follow these steps to making a new loveseat "slipcover." Measure your loveseat. Take all dimensions--arms, legs, body, all pillows and other parts. Make sure every inch has been measured. Using your length and width, you can approximate which slipcover patterns will work based upon the size of your loveseat. If you have a unique or irregularly sized loveseat, using a pattern will be more difficult, though still possible with provisions. Choose your fabric. This includes color, material and pattern. Take into consideration durability and use. For instance, if pets or children will be using this loveseat, a durable and stain resistant material should be chosen. Natural colors work well for this too. Go to the fabric store to survey options. Flip through some design and interior decorating magazines for additional ideas and inspiration. Choose your thread. Remember, this may be visible so determine a good match with your fabric, depending on how conspicuous you want this to be. Find a pattern that works. Go to your local fabric store, or search online. If you length and width fit, you will be able to adjust your pattern accordingly for sewing. Find patterns for special add-ons, or create your own for dust ruffles or skirts. Find patterns for all pillows, or create your own. As pillows are much easier to create covers for, you may not need a pattern here. Depending on pillow size and shape, creating your own pattern may prove easier. Fun tip: Mix and match your material on the pillows to add fun decorative touches and your own personal flair. Get sewing. 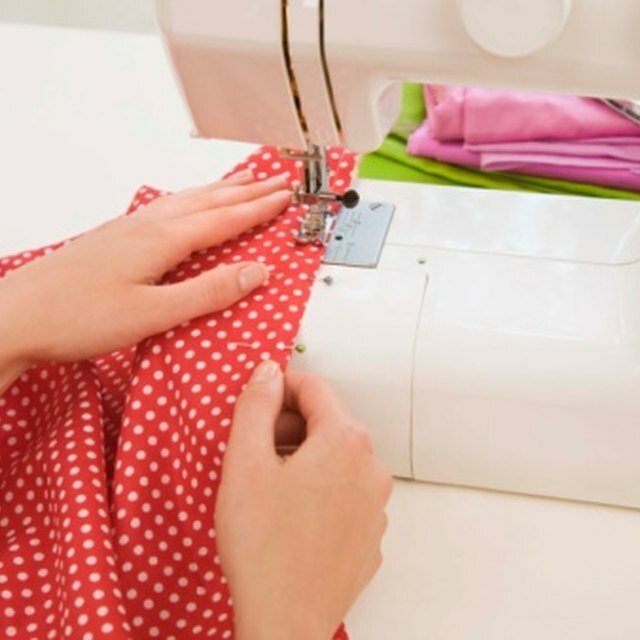 Once you have your pattern, materials and additional tools (the obvious scissors, pins, sewing machine and thread), you are ready to get to work. Carefully test your work as you sew, making sure fit is proper on your loveseat. Relax and enjoy your re-furbished loveseat. Note, advanced knowledge of sewing/sewing machine use is necessary to create a slipcover. Kelsey O'Neill enjoys applying her extensive experience in a variety of literary projects to professional writing projects. Holding a Bachelor of Arts in communications/English from the University of Michigan, her work background includes writing across a variety of platforms in marketing, advertising and public relations, including both business and creative prose.